Thanks to Colorado’s ever-changing, somewhat erratic weather patterns, we can never be too confident in the level of nutrients and water our trees are receiving. With a little intervention from Schra Tree Care, you can rest assured that your trees are fortified through deep root fertilization. Each service delivers a boost of species-specific nutrients and moisture to your tree, protecting its beauty and health. It is a common misconception that watering and fertilizing the surface of the lawn will suffice for tree care. While this doesn’t hurt, it certainly can be improved for optimal health. What Are The Benefits Of Deep Root Fertilization? In a mostly urban landscape, trees grown at Northern Colorado homes are often hindered by the concrete and sidewalks that weave their way across town. Naturally, trees would be able to absorb the nutrients from the leaves that decompose on the surrounding land. However, modern development means the trees can’t access as much water or nutrients that could be available if the land was all still natural. Therefore, technology has developed to help gets these trees the nutrients they need to thrive. Trees with deep roots are especially subject to improper nutrition levels. However, deep root fertilization can forcefully pump the necessary supplements far into the soil. Deep root fertilization helps improve tree health similarly to how lawn aeration helps the rest of the yard. 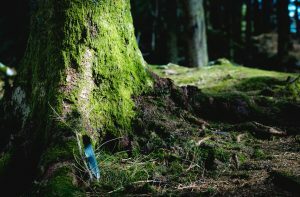 It opens up the soil, which allows oxygen, water, healthy bacteria, and other nutrients to infiltrate the roots and then spread their way through the rest of the tree. This tree service is especially helpful for mature trees that have extraordinarily large, deep roots. When done correctly, though, it can help promote the healthy growth of any size or type of tree. Healthy deep soil means greater root function, which means better overall health for the tree. How Does Deep Root Fertilization Work? 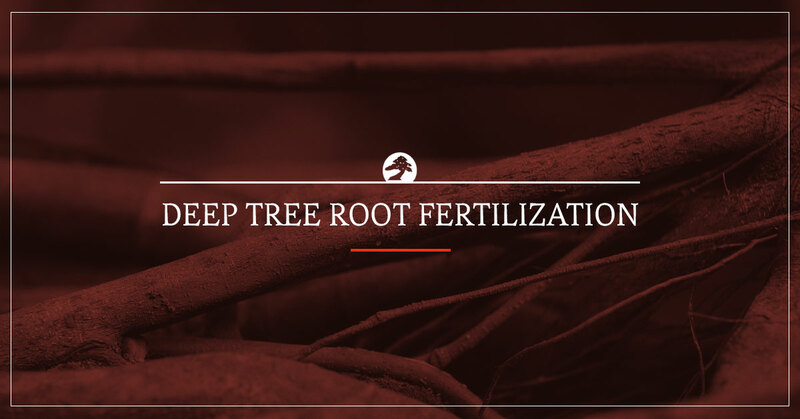 Tree root fertilization is performed with a high-pressure tool that injects water, fertilizer, and species-specific nutrients deep into the soil so it can directly reach the root system. Alongside getting this healthy mixture into the soil surrounding the tree, certified arborists can inject directly into the roots themselves. Deep root fertilization is more impactful than surface fertilization because it is not subject to the wind, rain, and other elements that can be easily blown away, which is unfortunately just an accidental homeowner fail. It is with great pride that we are known as the Top Rated Local® Plant Health Care Specialists in Loveland. We aren’t in business just to work outside (although that is a great perk most of the year). We are passionate about the health and wellness of the plants and trees that grow in Colorado. Serving Northern Colorado, our team works diligently to prevent disease and infestation throughout our region from infecting the trees and plants that make it beautiful and healthy. Instead of operating on a “fix-it” mentality, we focus on preservation and protection of urban trees and flora to help keep them growing for decades. If you’re ready to pump some life into the roots that keep your tree growing tall and strong, you’re ready to work with Schra Tree Care. Connect with us to schedule a free consultation.